F.E.A.R. (First Encounter Assault Recon) is an intense combat experience with rich atmosphere and a deeply intense paranormal storyline presented entirely in first person. Be the hero in your own spine-tingling epic of action, tension, and terror… and discover the true meaning of fear. 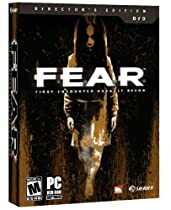 Hyper-stylized combat for breathtaking cinematic quality actionGripping supernatural storyline for spine-tingling intensity of play Multi-player action with multiple gameplay modes and all single player capabilities Advanced graphics and physics for visceral movie-like experience Enemies with special abilities and A.I. so intuitive it’s like battling living, breathing players. Copyright © Games People Play All Rights Reserved.